Each CA Kid is unique and in need of your support, you can find out more about them by reading the profiles below. From as little as $25 a month you can provide a single CA kid's food, medical needs, schooling, clothing and further education to nurture their individual talents whether it be in sport, music, dance, art or yoga. Help us change lives today! Select a child (or children) you’d like to donate to and email us info@communitiesassist.org to let us know who you’d like to sponsor and the amount you’ll donate each month. We will confirm receipt, send your sponsorship pack and and provide payment options / instructions which will be through Givenow Recurring Donation facility. Jambo! Jambo! My name is Paskalina, I am 7 years old. I like eating rice and beans. I enjoy swinging and to learn how to draw pictures. What makes me happy is swinging with friends. I don’t enjoy feeling tired When I grow up I would like to become a teacher. Jambo! Jambo! My name is Hadija, I am fourteen years old. I like eating chapati and beans, I enjoy doing Yoga. What makes me happy is learning new skills. I don’t enjoy being sick. When I grow up I would like to become an engineer. Jambo! Jambo! My name is Daima, I am 8 years old. I like eating pasta and beans. I enjoy playing with toys and learn new games. What makes me happy is playing with my friends. I don’t enjoy when other kids beat me. When I grow up I would like to become a teacher. Jambo! Jambo! My name is Fredrick, I am 5 years old. I like eating rice. I enjoy playing with toys. What makes me happy is playing with other kids. I don’t enjoy playing alone. When I grow up I would like to become a teacher. Jambo! Jambo! My name is Jackline Makuke, I am 14 years old. I like eating pilau (African food). I enjoy watching cartoons. What makes me happy is going to school. I don’t enjoy when I miss school. When I grow up I would like to become an Engineer. Jambo! Jambo! My name is Pastory, I am 4 years old. I like eating rice. I enjoy when we do Yoga. What makes me happy is swinging. I don’t enjoy when I cry. When I grow up I would like to become a teacher. Jambo! Jambo! My name is Stella, I am 5 years old. I like eating rice with beef. I like reading and I enjoy playing with toys and learn drawing. What makes me happy is playing with my friends. I don’t enjoy when am sick. When I grow up I would like to become a doctor. Jambo! Jambo! My name is Lightness, I am 4 years old. I like eating rice with beans. I enjoy singing school songs and Yoga. What makes me happy is playing with my friends. I don’t enjoy when I feel hungry. When I grow up I would like to become a teacher. Jambo! Jambo! My name is Fred Mushi, I am 13 years old. I like eating fried rice. I enjoy gardening. What makes me happy is playing football. I don’t enjoy feeling Hungry. When I grow up I would like to become a Pilot. Jambo! Jambo! My name is Noela, I am 11 years old. I like eating pasta with beans. I enjoy Yoga. What makes me happy is playing with my friends. I don’t enjoy when I miss school. When I grow up I would like to become a nurse. Jambo! Jambo! 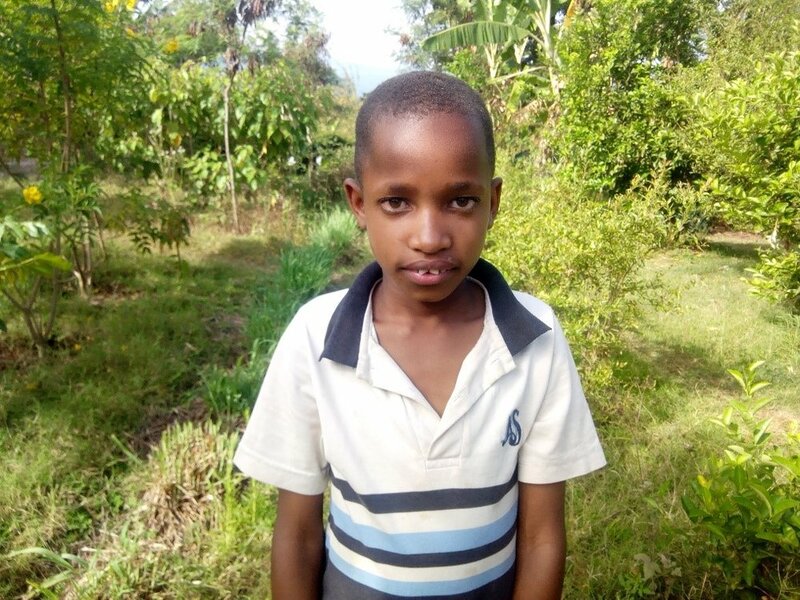 My name is Tumaini, I am 10 years old. I like eating chips. I enjoy playing football and learning Mathematics. I don’t enjoy when am hungry. When I grow up I would like to become a footballer. Jambo! Jambo! My name is Goodluck, I am 12 years old. I like eating pasta with beans. I enjoy doing Yoga. What makes me happy is helping in farm. I don’t enjoy when I get sick. When I grow up I would like to become a farmer. Jambo! Jambo! 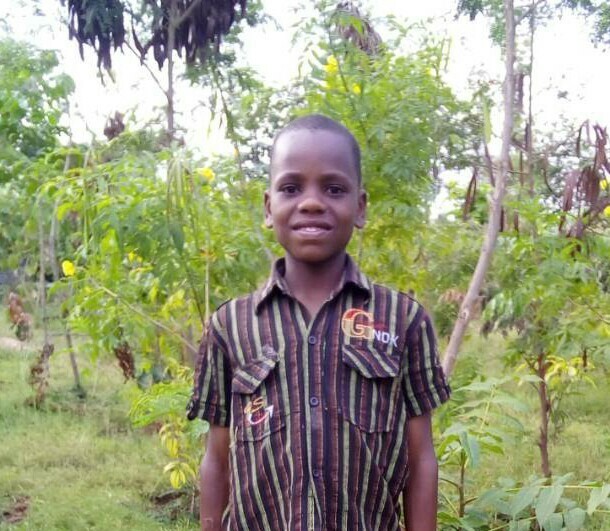 My name is Shujaa, I am 10 years old. I like eating pasta with beans. I enjoy doing Yoga. What makes me happy is studying and watching gardens. I don’t enjoy being lazy. When I grow up I would like to become a teacher. Jambo! Jambo! My name is Ally, I am 12 years old. I like eating stiff porridge with beef. I enjoy doing Yoga and learn English. What makes me happy is to see my mother. I don’t enjoy when I see my young sister unhappy. When I grow up I would like to become a teacher. Jambo! Jambo! My name is Emmanuel, I am 10 years old. I like eating stiff porridge. I enjoy Yoga. What makes me happy is playing with my friends. I don’t enjoy when am hungry. When I grow up I would like to become a doctor. Jambo! Jambo! My name is Elisha, I am 6 years old. I like eating banana with beef. I enjoy playing games. What makes me happy is watching pictures in books. I don’t enjoy playing alone. When I grow up I would like to become a teacher. Jambo! Jambo! My name is Richard, I am eleven years old. I like playing football. My favourite food is Rice and beans. What makes me happy is eating. I don’t enjoy when am hungry. When I grow up I would like to become a teacher. Jambo! Jambo! My name is Beno, I am 10 years old. I like eating chips. I enjoy playing puzzles. What makes me happy is doing Yoga. I don’t enjoy when I lose my exercise books at school. When I grow up I would like to become a farmer. Jambo! Jambo! My name is Evod, I am 8 years old. I like eating Rice with beans. I enjoy playing with car toys and puzzles. What makes me happy is eating food. I don’t enjoy when I miss games. When I grow up I would like to become a driver. Jambo! Jambo! My name is Jackline Tarimo, I am 11 years old. I like eating rice with beans. I enjoy doing Yoga. What makes me happy is helping my young sisters at Kili kids. I don’t enjoy when am not clean. When I grow up I would like to become a Teacher. Jambo! Jambo! My name is Asha, I am 11 years old. I like eating rice. I enjoy when we do Yoga. What makes me happy is helping mamas in kitchen. I don’t enjoy quarrel with my friends. When I grow up I would like to become a Doctor. Jambo! Jambo! My name is Violeth, I am 11 years old. I like eating rice with beef. I enjoy helping mama in kitchen. What makes me happy is when I get new things. I don’t enjoy when I lose my properties. When I grow up I would like to become a teacher. Jambo! Jambo! My name is Samwel, I am 15 years old. I like eating chicken chips. I enjoy studying, watch football. What makes me happy is making stories with friends. I don’t enjoy when I fail in class. When I grow up I would like to become a Pilot. Jambo! Jambo! My name is Rajab, I am 18 years old. I like eating rice with beef. I enjoy playing and watching football. What makes me happy is helping in gardening. I don’t enjoy when I make mistakes. When I grow up I would like to become a farmer. Jambo! Jambo! My name is Jackline Charles, I am 15 years old. I like eating friend rice. I enjoy reading novels and studying. What makes me happy is making stories with my friends. I don’t enjoy missing classes. When I grow up I would like to become a Doctor. Jambo! Jambo! My name is Pascal, I am 10 years old. I like eating rice with beans. I enjoy playing football. What makes me happy is doing Yoga. I don’t enjoy when I make mistake at home. When I grow up I would like to become a teacher. Jambo! Jambo! 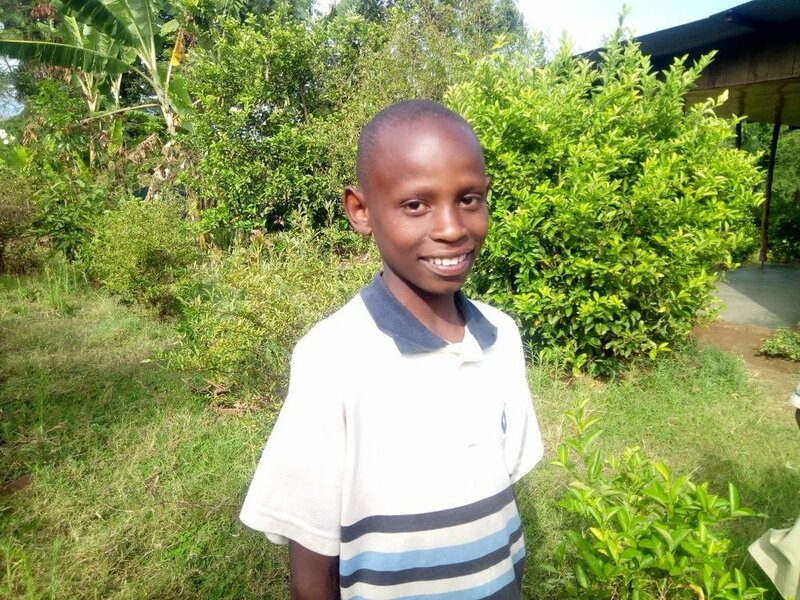 My name is Fred Kweka, I am 12 years old. I like eating friend rice. I enjoy playing football. What makes me happy is feeding rabbits. I don’t enjoy being sick. When I grow up I would like to become an Engineer.